Welcome to one of the best houses on the market in beautiful Willow Creek where suburban living meets urban living. Directly across from driveway, enter the pathway to the amazing green belt system within Willow Creek. Facing the house, you will notice the newer roof, new driveway, new garage doors and a cool new front door. Enter the door to the open floor plan where you can see the new gleaming hardwood floors and perfectly remodeled kitchen. New white soft close cabinets and drawers with brand new stainless steel appliances including a gas stove. Head upstairs to 4 spacious bedrooms and a master with its own bathroom. In the basement, tons of storage, newly carpeted rec. room, and rough plumbing for another bathroom. Other goodies include new LED lighting, awesome light fixtures, fresh paint, newer fence, front landscaping. 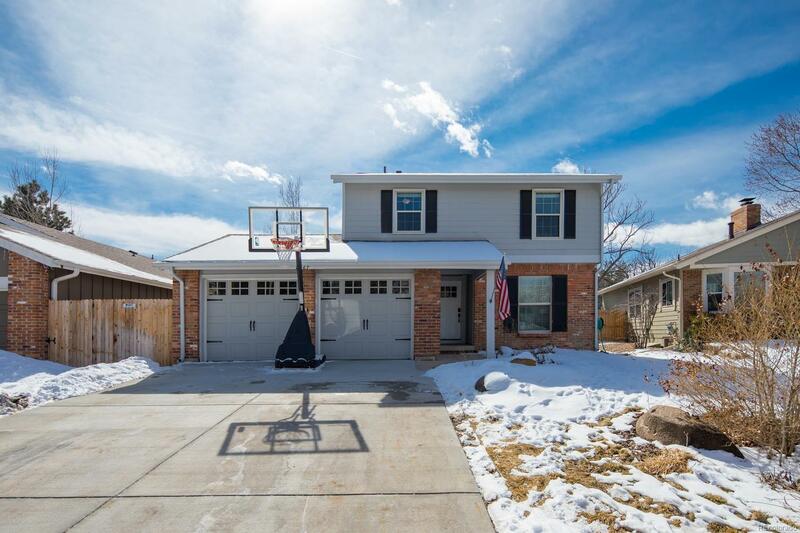 Close to park and fields and of course Cherry Creek Schools. This home is also uniquely located to walk to coffee and local favorite restaurants.